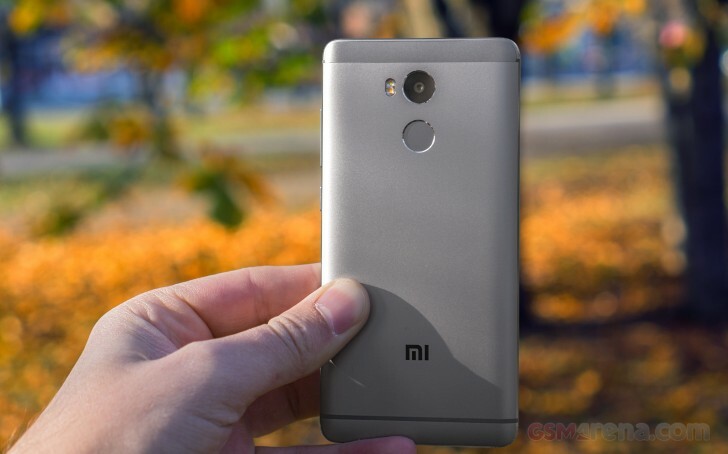 The Xiaomi Redmi 4 Prime is powered by the Snapdragon 625 chipset - one of the key differences compared to the pedestrian Redmi 4 and its Snapdragon 430. While both chips pack an octa-core Cortex-A53 CPU, the 625 is made on a 14nm process with improved efficiency and performance being the logical consequence. Oh, and the 625's CPU can go as high as 2.0GHz, while the 430's is capped at 1.4GHz. We have tested Snapdragon 625 phones before, but none comes close to the Redmi 4 Prime's price point. Still, we've thrown the Huawei nova and Asus Zenfone 2 ZE552KL here to see how different makers have gone about utilizing the Qualcomm chip. Looking at GeekBench scores first, we find the Redmi 4 Prime to be more or less on par with the nova and Zenfone 3 in the single-core test. But while the Huawei mid-ranger and the Redmi 4 Prime are in the low 3000s in the multi-core test, the Zenfone 3 goes above 4,000 points. Not much to be said about the Prime's performance, really - clearly it's the Zenfone that's extraordinary. In Antutu the Snapdragon 625 bunch sticks together, with only the Huawei nova managing to squeeze some points more, but not a particularly meaningful difference. The Redmi 4 Prime is considerably ahead of all Redmi Threes as well as Snapdragon 616s represented by the Oppo F1 and Lenovo Vibe K5 Plus. The Redmi 4 Prime didn't play nice with Basemark OS II 2.0, but we did manage to run the older version. While the Zenfone 3 took issue with that one, the Huawei nova and the Galaxy C7 outperformed the Redmi (particularly the nova), but the Xiaomi 5-incher was out of reach of Snapdragon 616s yet again. As for graphics, the Snapdragon 625 is equipped with an Adreno 506 GPU, while the 61x models make do with the Adreno 405, and the 430 is packing the Adreno 505. Well, the gap is clearly visible in Basemark X where team Adreno 506 occupies the top spots in this group. Next is the Adreno 505 in the Redmi 3S and 3S Prime, comfortably ahead of the older generation 405 in the Oppo F1 and Vibe K5 Plus. Moving on to GFXBench, there is again little to split the Redmi 4 Prime. Galaxy C7 and Zenfone 3 ZE552KL, both in onscreen and offscreen tests. It's in the onscreen tests that the Redmi 4 Prime can't quite match the framerates of the previous generation - both the 3S and 3S Prime benefit from their lower-res displays. Overall, the Redmi 4 Prime is very well powered, and its chipset is one that can be found in devices costing several times as much. Within its own price bracket, the Redmi 4 Prime really has no competition regarding raw performance.